A three-hour city tour discovers you the city with its historical, archaeological and architectural landmarks. 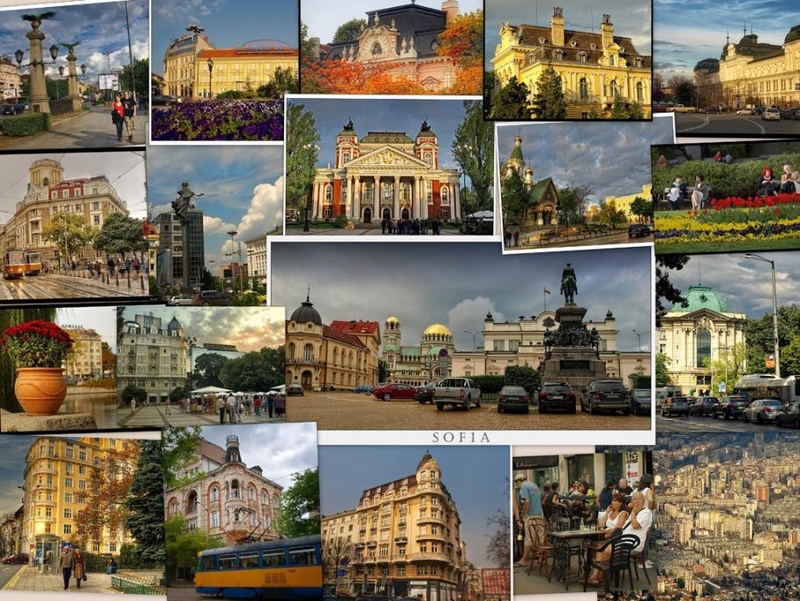 Sofia today is an exciting meeting place of history and present. About 250 historic, archaeological and architectural monuments have been preserved in the modern capital, the centre of the country's political and cultural life, a tourist destination and hospitable venue of major international forums. 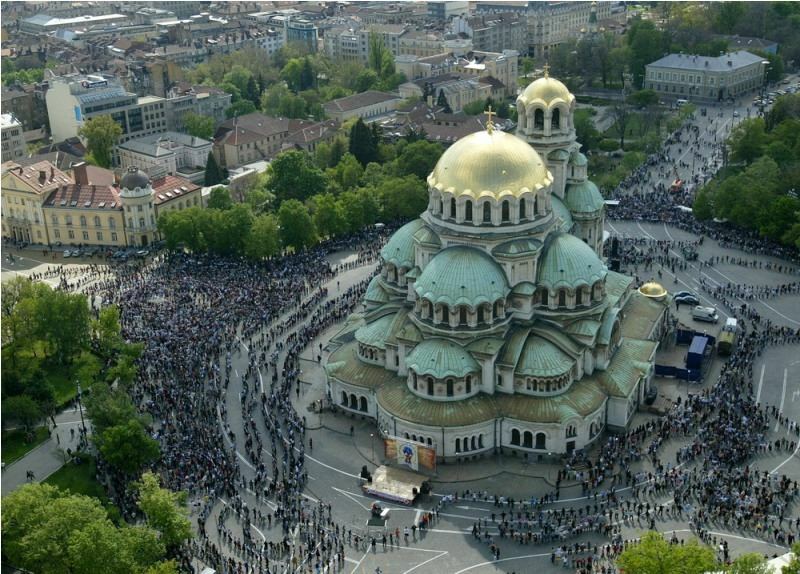 The tour includes visit to the most interesting points in Sofia - Alexander Nevsky Memorial Church, St. Sophia Church, Rotunda of St. George, Vasil Levski Monument. Monuments from different ages exist in perfect harmony in the St. Alexander Nevsky Cathedral and The St. Sophia early Christian Basilica, which has given the city its name, towers majestically nearby. Sofia, Bulgaria's capital, was founded more than 7 000 years ago, and has long been an important crossroads between Asia Minor and Europe. 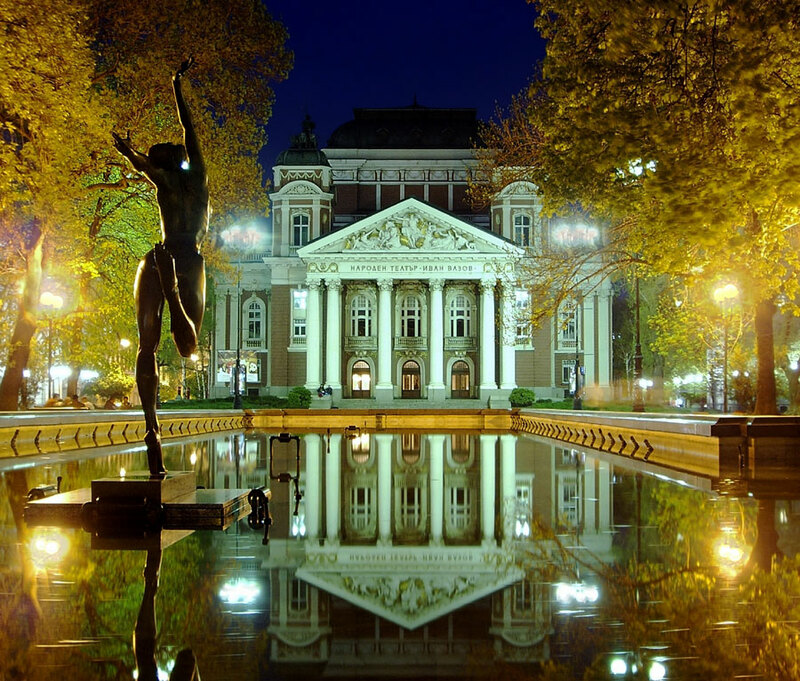 Sofia's monuments attest to the many cultures and civilizations that flourished here. ST. SOFIA CHURCH. The 4th-6th century basilica was built during the reign of Justinian. It has survived intact with 1600- year-old mosaic details and towards the end of the C14 gave the city its name. Beside the wall of the church is the Tomb of the Unknown Soldier. Nearby is the grave of the national poet and writer Ivan Vazov, marked by an engraved boulder. ALEXANDER NEVSKI MEMORIAL CHURCH. Completed in 1912 in honour of the Russian casualties of the 1877-78 War of Liberation from Ottoman Rule. Gold-domed, it is the finest piece of architecture in the Balkans. Craftsmen and artists from 6 countries worked on the five-aisle church in the course of 30 years and created real masterpieces of icons, frescoes, murals and huge chandeliers. The interior decoration, made of Italian marble. Egyptian alabaster, Brazilian onyx, gold, mosaics embodies the spirit of the finest Eastern Orthodox traditions. A superb collection of icons - the best in Bulgaria - can also be seen in the Crypt (closed on Mondays). ROTUNDA OF ST. GEORGE. A C4 brick building in the courtyard behind the Sheraton Hotel, adorned with finely preserved early medieval frescoes. There are also remains of a C2 street and other Byzantine ruins. 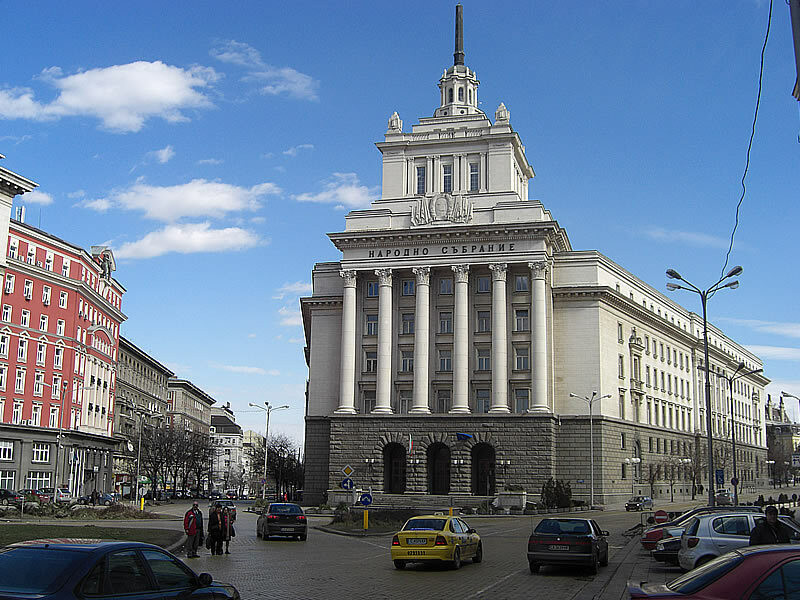 THE NATIONAL PALACE OF CULTURE (NDK). The biggest Congress Centre in the Balkans. 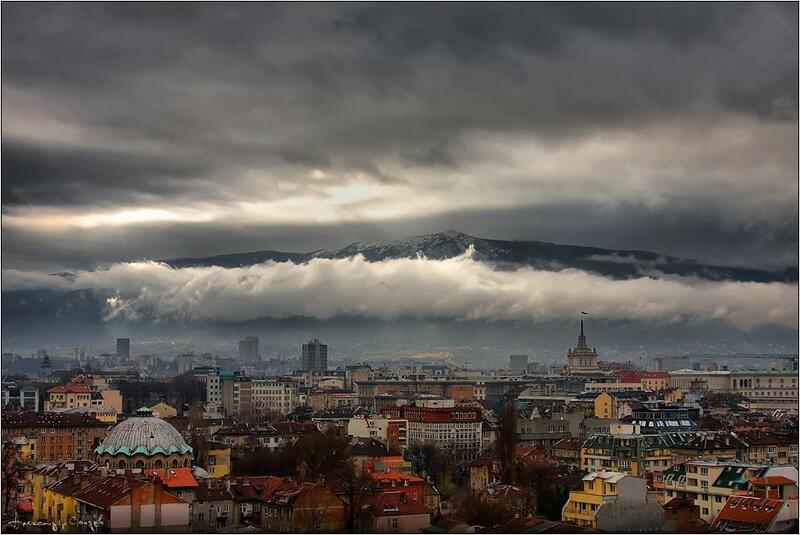 It is located in the centre of the city and faces the Vitosha Mountain. THE CHURCH OF ST. NEDELYA. (Opposite the Sheraton Hotel). Built in medieval times and known as the Church of the Blessed Sveti Kral. The current building was reconstructed after 1925 when it was almost completely destroyed by a bomb explosion. VASSIL LEVSKI MONUMENT. Vassil Levski was the principal architect of the campaign to free Bulgaria from the oppression of the Ottoman Empire. The monument marks the spot where he was hanged by the Turks in 1873. SOFIA UNIVERSITY. This is the country's most prestigious university. 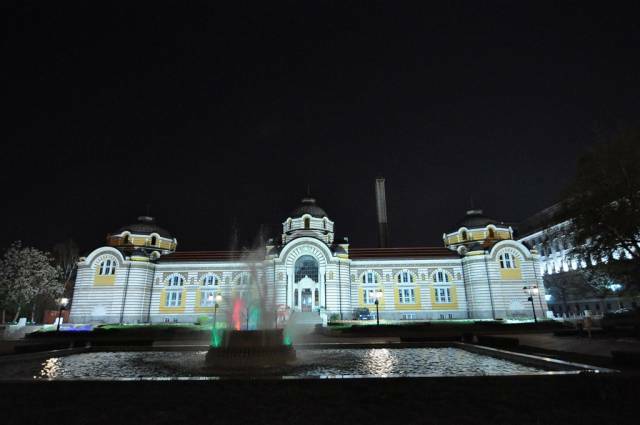 It was built a decade after Sofia became Bulgaria's capital in 1879 with funds bequeathed by the brothers Evlogi and Christo Georgiev, whose statues are set in front of the main gates.